​Manchester City fan Martin Warhurst was humorously mistaken for potential Huddersfield Town boss Jan Siewert on Sunday by a reporter, while spectating the Premier League clash. 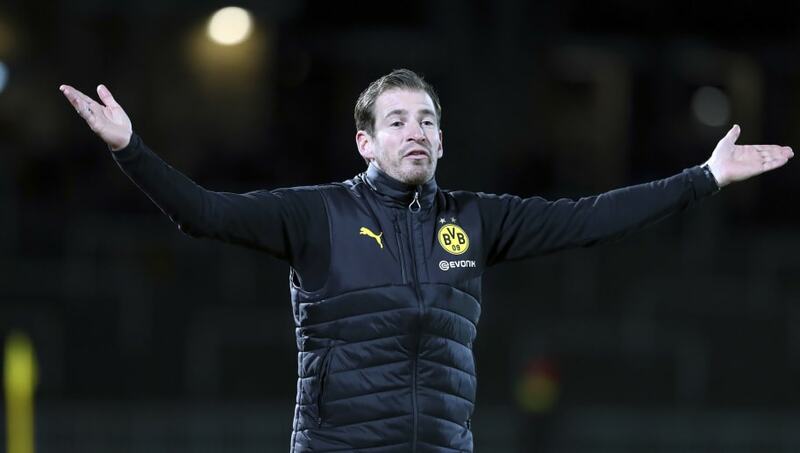 The fan shares an uncanny likeness to the German, as TV cameras caught a reporter appearing to ask him whether he was Siewert, the likely candidate to fill the manager vacancy left by David Wagner. Unlike the ​soon-to-be announced Siewert, this supporter will have liked what he saw on Sunday, as City ran out ​3-0 winners at the John Smith's Stadium. Speaking after the game, the Manchester City fan saw the funny side of the event, which happened in the 75th minute of the game. "It was bizarre. Basically what happened is I was sat in the crowd and suddenly I was aware of a guy coming towards me from the right hand side," Warhurst said, quoted by the ​BBC. "He said 'Are you Jan, the new manager?' I laughed and said: 'No, no, that's not me. I'm Martin from Wakefield'. That was all I heard of it and then suddenly everybody's phones and my phone started going crazy, saying 'I've just seen you on telly'. "There was lots of reaction from people in the crowd - just people coming up and having selfies and people patting me on the back and wishing me luck." The ​City fan acknowledged his similarity to the 36-year-old, but still had time for a little dig at the favourite for the next ​Huddersfield boss. "I'm a much more attractive guy," he joked, while offering his doppelganger some footballing advice for the future. "My tip, if I were the Huddersfield manager playing against a team like Manchester City, I think if they played a formation of 5-5-5 they might actually stand a chance!"